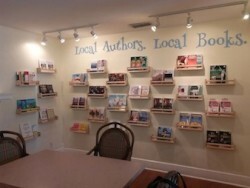 Online bookstores dedicated to indie and self-published authors are nothing new, but a physical bookstore in Florida has just opened dedicated to books by local self-published authors. Self-published children’s author and book illustrator Patti Brassard Jefferson, along with history author Timothy Jacobs, decided to create a bookstore of their own, Gulf Coast Bookstore, but only selling books by indie authors. The duo had the idea a few years ago and only decided to act when local store space became available in Florida recently. 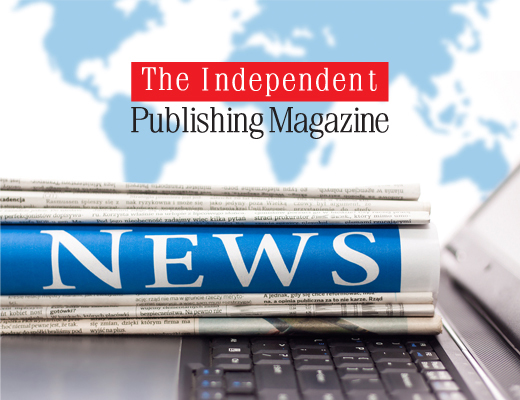 Publishers Weekly reported on the launch. Gulf Coast Bookstore invites local indie authors to take out shelf space in the store at a fee, much in the way big publishing houses strike deals with retailers to ‘window’ their biggest promotional titles. Authors can also avail of space on Gulf Coast Bookstore’s website for local signings. I think this is a terrific idea and holds firm with my belief that authors must work closely with local bookstores before launching a marketing plan that attempts to takes on the world via cyberspace alone. Long may it continue and prosper! Patti and Tim have a great model for promoting the work of self-published authors and for creating a community around them. Makes me wonder about the possibility of replicating this project. Thanks for the inspiration. Just touched on this discussion with Nate from The Digital Reader. It’s welcome, but as a business model for a physical store, I’m not sure it is sustainable just to stock indie titles. When peeps enter a physical bookstore they either want a wide range or specific niche genre if the store specialises. Customers don’t look for books based on HOW they were published, and offering that as a store front brand is dubious as a foundation for a successful (at least viable) retail business. I think booksellers looking at self-pub titles make the mistake of confusing it with the model for selling handcraft products. That approach just doesn’t work for book products. Are you familiar with Powell’s Books in Portland, Oregon, Mick? I wonder if something like this might work as a new “department” within such a massive independent bookseller’s operation? But I hear you that customers don’t look for books based on HOW they were published. Still….. there’s something happenin’ here….. what it is, ain’t exactly clear….. Telling me I have to stay aware…. Everybody take time, take a look…. Mick – Totally agree. We don’t taut the bookstore as an indie-only bookstore. That was the classification of the media. We started as a LOCAL authors only bookstore — completely different. You cannot deny that there is a definite movement taking place across the boards of people supporting local businesses, local markets, local artists and yes local authors. The fact that none of the traditionally published authors who are here locally chose to participate, gave us the dubious distinction of both locals authors-only and self/indie pub-only bookstore as well. We don’t wave our Indie flag in peoples faces – not because we aren’t proud, but because you are correct – people don’t care HOW their books are published. I assure you that we do not confuse self/indie books with handcrafts. Our authors books stand on their own merits. Will every author at our store sell a record number of books? No. But they sure deserve the chance to see if it works for them and to enjoy the community of local self/indie authors that we are working with. I will say this — we would love to see authorprenuers across the country start popping up “bookstores” everywhere. Coffee shops with extra space. Art galleries with an spare room. Your family business with a blank wall… Wherever. Its not the size. Its the doing. Its the chance for members of the universe to get a close up look at some good .. and some really really great… books that have deserve the attention. Patti and Tim offer a fascinating model for creating a community for self-published authors that promotes their work. I find myself wondering about the possibility of replicating this project. Thanks for the inspiration. I think this is an amazing business model and because self/idie authors have such a difficult time finding shelf life for their products, this may prove to be a very lucrative business in the very near future. Ironically, I came across this article because I recently self-published my first novel and am actively trying to find independent bookstores to carry it. I live in the Atlanta area and own a local bakery/coffee shop in a historic art district in downtown Atlanta. Something like this may be a perfect addition for my space, it could be beneficial for me and my authorpreneurship endeavors, other self/indie authors; as well as, my existing bakery. I would love to know more and perhaps we can work collaboratively to expand your concept into many other cities. This is an awesome idea! Although it’s not impossible for self-published authors to compete with mainstream authors in the big-name bookstores, it is a little bit difficult to get noticed when customers aren’t familiar with your name or your book title. Having a store dedicated to just independent authors is a great way for these talented writers to get noticed, and passionate readers get to support their fantastic work. My name is Thomas Joseph Beck I am the author of a book called Without Wings. I was published by Tate Publishing out of ok. I am trying to get my book into hands of readers.This you well know isn’t easy. I would love to put my book in your store if you would have me. I am a resident of florida and am currently working on my next book. Without wings is a series of six books. This is book one. I would love more information about you. And any advice would be welcome i’m new to this. In June i attended the Algonkian pitch conference in New York.